Nike's marketing pitch: Free to go farther. Surfaces tested on: Road, ambient temperature of 19° C/66° F.
Upper: Knitted outer upper, inner sleeve, Flywire cord based lacing. Midsole: Dual density foam. Lunarlon co-molding over a EVA base. 4 mm heel to toe drop. 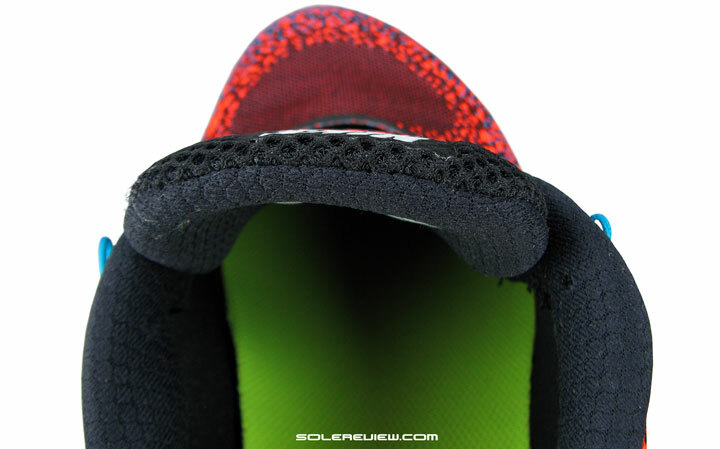 Outsole: EVA foam, rubber pieces under the toe and heel. 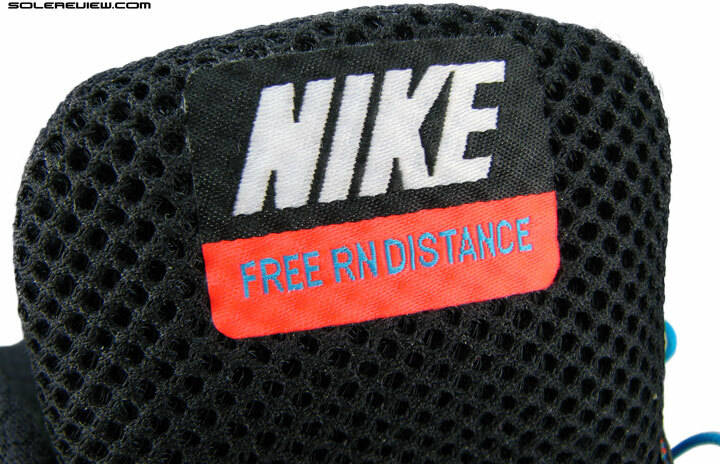 The Free RN distance is precisely what Nike says it is. A Free shoe to go longer - with thicker cushioning making the flexible midsoled concept more comfortable to run in. Not to be confused with faster shoes such as the LunarTempo or Racer 3. Runs warm. The Free could have been a potential casualty of the minimalist trend downturn – but for the Flyknit upper. 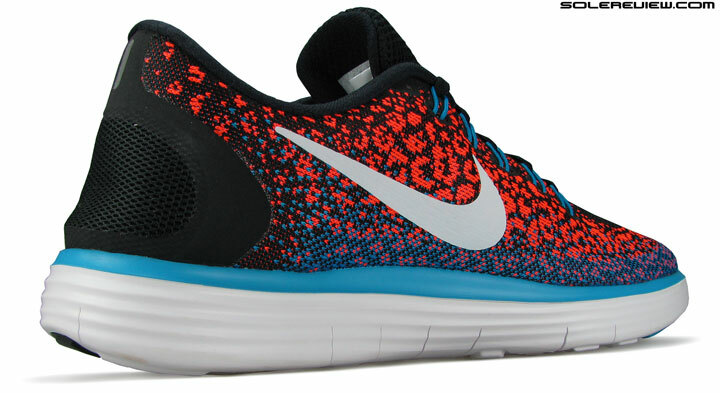 Looking back, retrofitting the then existing Free 5.0 with a Flyknit upper in 2012 proved to be a smart move. It not only helped Nike Free long outlive the glory days of the minimalist footwear trend, but also set the foundation for soon to be released models such as the Nike Free 3.0 and 4.0 Flyknit. Both of which are great products, by the way. Nike Free was the sole product platform to benefit from the undiluted stretch Flyknit treatment – a single piece, knitted upper which snap-fitted over your foot. Can’t recall other performance running models featuring a stretch Flyknit upper; we’ve come across only variations of it. Like the Vomero 10’s or Odyssey’s Flymesh iteration, for instance. 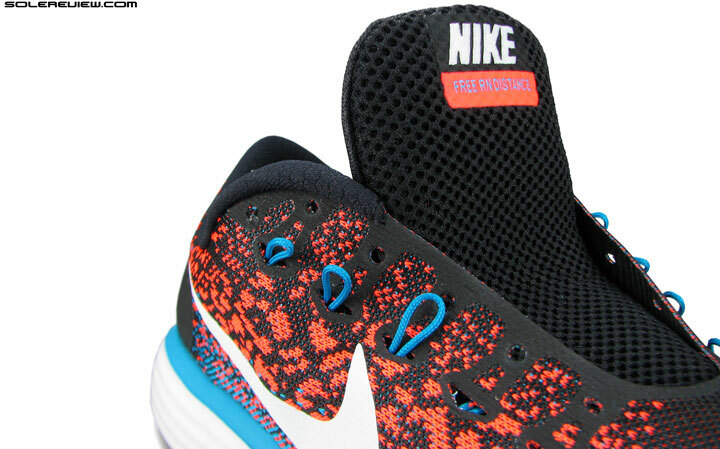 The Flyknit Lunar 3 has a knit upper, but not the stretch type. We don’t have a sense of retail sales numbers, but Nike Free definitely seems to have cooled down in the past couple of years. Nike is trying hard to keep the Free in the public eye though, going by the visible product placement in the recent movie ‘The Martian’. The actors in that movie are wearing either the Nike Free 3.0 or 4.0 in zero gravity; in one particular shot, Matt Damon is seen growing space potatoes in a pair of Nike Free 3.0’s. Here’s a small trivia for you: technically speaking, Saucony is the only brand to have done some actual mileage on a celestial landmass, and not just the IMAX type. Otherwise unofficially, many brands have seen space action. Astronauts are required to exercise, and most do so in running shoes. Here’re a couple of pictures featuring Asics and New Balance. Space gel, there you are. But back on planet earth, not many people are seen running in them anymore. The fact that our own reviews of Nike Free models don’t generate as many views as before is a sign of waning interest. The Free 5.0 is a well padded and great general purpose shoe, yet found wanting in cushioning over longer runs. All Nike Free shoes do not have much cushioning in them, at least the type which people are used to in traditional running shoes. Nike Free 5.0 is well padded, yet feels relatively minimal. Add to that the somewhat unique positioning of the Free. On its website, Nike plugs it as a conditioning tool inspired by barefoot training. The word strengthening or conditioning implies that the Free is to be used as a secondary shoe instead of being a daily mileage beast. And the term ‘barefoot’ has fallen out of favor with consumers a while ago. The Flyknit upper has definitely helped Nike Free’s cause, but then, novelty can only last so long. Knitted uppers aren’t unique today. Adidas does it, and so does Skechers. A move not so much driven by the need to innovate, but to save costs. China has long ceased to be a place for cheap labor, and Vietnam, the last bastion for athletic footwear manufacturing can only produce so many shoes. India is cheap, but has problems of its own. So the logical step is to cut down on manual processes like cutting and stitching, and develop designs like one piece uppers and co-molded midsoles which require less of human intervention. That saves on material wastage too, as there are no more curved patterns to be cut of square sheets of synthetic. Less wastage and lower labor = better costs. So what exactly does the RN distance do? The upper is half Flyknit, half Flymesh. 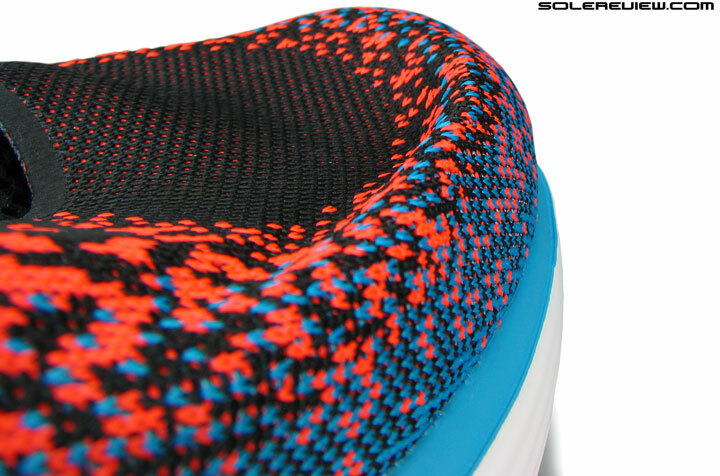 The midsole has the trademark flex grooves, only much thicker. And the Nike Free RN distance packs in a bit of both, with its upper being halfway between the Flymesh and Flyknit. It does not have the stretch properties of the Free 3.0 or 4.0, and yet manages to differentiate itself from the flat Flymesh texture. It also combines traditional components like an inner half-sleeve and a sparsely padded collar. But before we get dragged into the minutiae of it all, what’s the deal with the Nike Free RN distance anyway? Some might view this shoe as a mix of the Nike Free 5.0 and the Lunartempo. 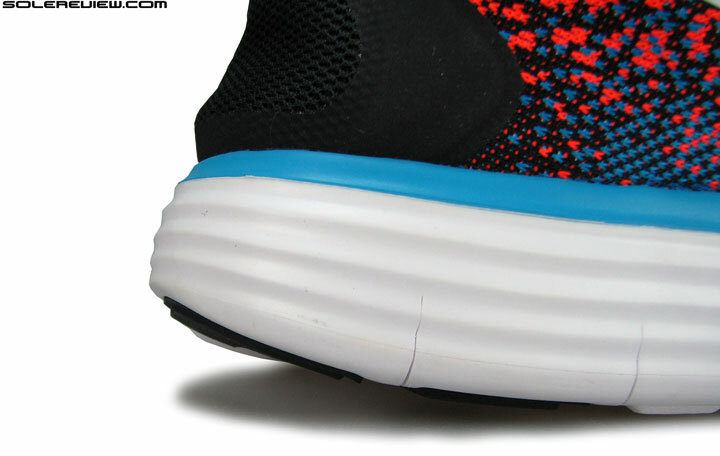 That point of view makes sense on paper, given that there’s Lunarlon foam fused with the recognizable Free midsole. 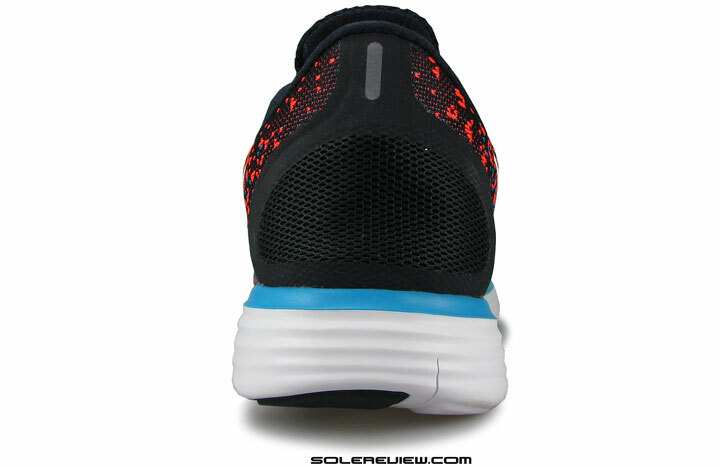 The RN distance sits within the boundaries of the Nike Free concept, except that this shoe has a 4 mm drop and Lunarlon. Yet the truth is, the Nike Free RN distance couldn’t be more different than the Lunartempo. The Tempo is a shoe meant to go fast (and it does), with a heel drop which hovers around the 10 mm mark. The RN distance is 4 mm, which is Saucony Kinvara territory. That said, the RN distance isn’t a Kinvara competitor either, because it feels completely different. If you recall, we published a review of the Nike Lunarlaunch last year. The shoe had a rather brief and ordinary life; it showed up on the pages of a few online retailers (excluding nike.com), and then disappeared into mark-down nothingness. It was an odd fellow, to say the least. The Launch had a 4 mm heel drop which was pretty drastic for Nike at the time, came with a Nike Free 5.0 insole (and presumably the last/fit too), and had a full Lunarlon midsole. Even came with an one-sided Burrito sleeve – again, another uncommon feature. The Lunarlaunch felt like a mish-mash of all the sleeper ideas Nike could throw at it. So when you picture the Nike Free 5.0 and LunarLaunch together, then the Nike Free RN distance begins to make sense. At least from a design perspective, that is. Similar to how the Dual fusion is designed, the RN distance’s injection molded midsole is of a dual density type. Blue seen here is the Lunarlon foam, not paint. Completely collapsible heel. No counter, obviously. It’s got a 4 mm heel-to-toe differential and has a Lunarlon top layer co-molded with the Free midsole, constructed like the Nike Dual Fusion. Also included are other elements such as a sleeve, Flywire cord lacing, and a collapsible heel counter. We had a couple of pre-conceived notions about the Free RN distance before we bought the pair, and solereview was wrong on both counts. The first assumption was that the RN distance looked wide from the outside, so it must be spacious inside. It is not, for reasons we’ll dive into. The second assumption was the ‘distance’ suffix placed the newest Free in a category similar to the LunarTempo, LR3, NB 1500, adidas Boston Boost and the like. We were wrong on that one too. The word ‘distance’ has to be interpreted within the Nike Free framework. Makes sense? The word ‘distance’ simply suggests that now you have a Nike Free with a lot more cushioning, which means you go longer in greater comfort. This isn’t Nike’s first stab at mainstreaming the Free – there was a shoe called the ‘Nike Free everyday’ which attempted to soften the Free experience. This was nearly 7 years ago, which meant that this example of diluted minimalism swam against the strong tide of the minimalist, zero-drop movement. Needless to say, the Nike Everyday lasted exactly two years, much like a lackluster television series getting cancelled at the start of its second season. If you’ve run in the Nike Free 5.0, you will feel much at home in the RN distance. 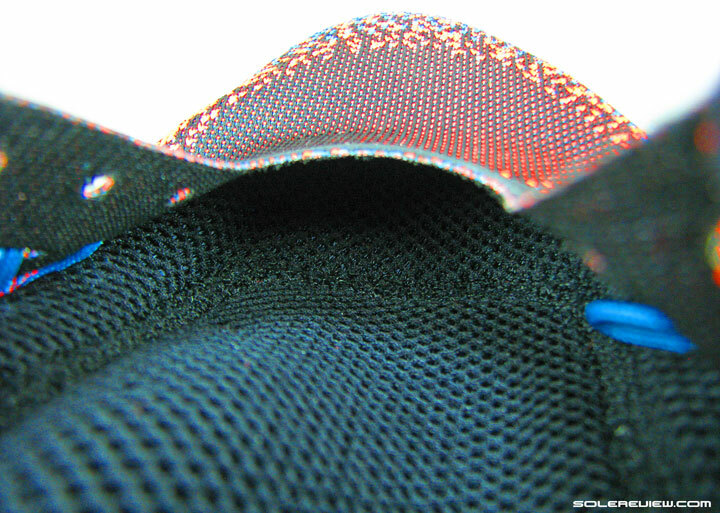 For obvious reasons; the insole is the same Ortholite pop-in found in the 5.0 and the Launch. 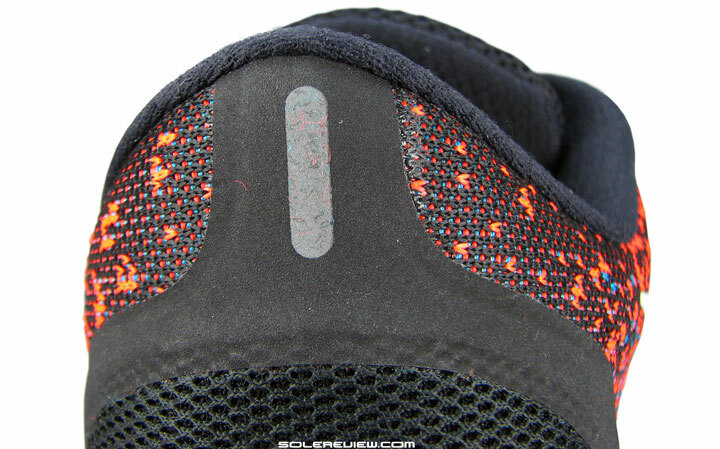 Below the insole is the foam lasting, and it is here you begin to see tell-tale signs of change. 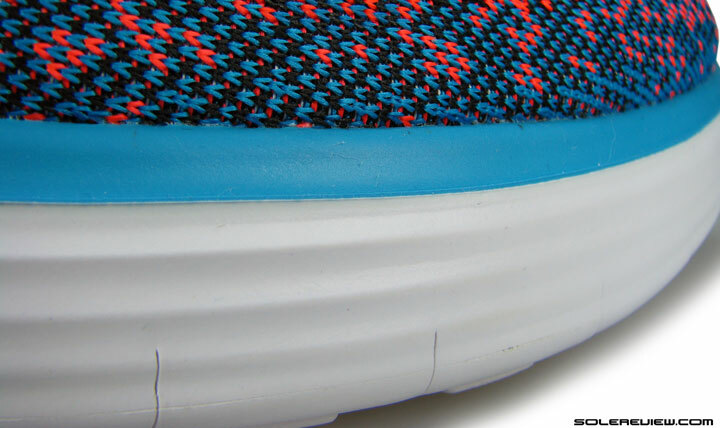 The blue Lunarlon is visible through the hole over the heel, and around the midsole rim too. It might look like paint to some, but it is not. 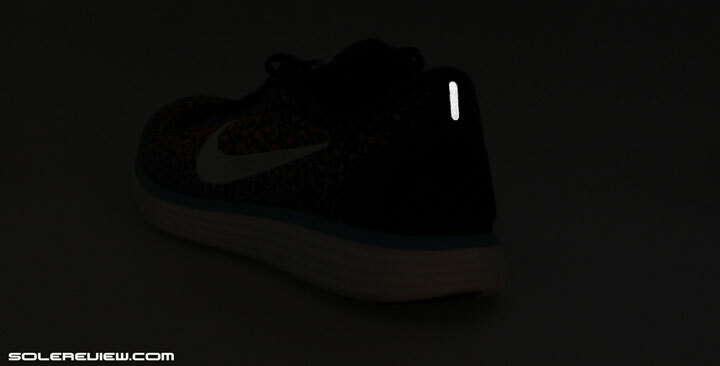 The Lunarlon and white Free midsole are injection molded together. The result is a deeper Lunarlon fill in the center with a shallow rim around the midsole edges. 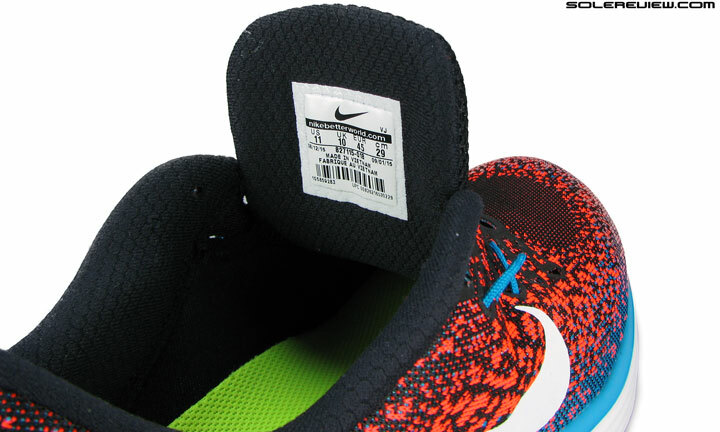 The outsole design and layout is similar to the Nike Free 5.0, save for one aspect. The heel edge has a lower count of rubber pieces and hexagonal foam columns than on the Free 5.0, which impacts the way in which the rearfoot comes in contact with the ground. Very similar to the Nike Free 5.0, except for the slightly different placement of rubber and lower count of hexagonal columns under the heel area. Has a beveled heel for gradual landings, like how it is on the Free 5.0 and 4.0. 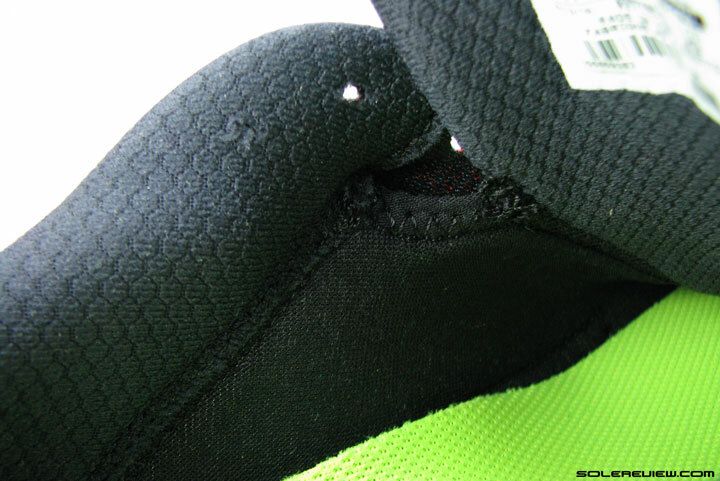 If you have a regular (non over-striding) rearfoot strike, the inner edge of the rubber outsole piece tends to come in contact first, and signs of wear appear rather quickly. This was not a problem on the Free 5.0 as the strike zone had a higher number of smaller rubber pieces. And then you have the debris trapping tendency of the generously siped outsole, an occurrence which is common to all Nike Free models. The rearfoot is thicker than other Free models. The forefoot is chunky too. Very flexible, just not as bendable as a regular Free. Removable Ortholite provides the top cushioning layer, responsible for most of the soft feel. As for the ride experience, it feels like a built-up version of the Free 5.0. Both the front and rear midsole feels thicker, though the top layer softness feels similar to the Free 5.0 when just walking around – thanks to the identical Ortholite sockliner. 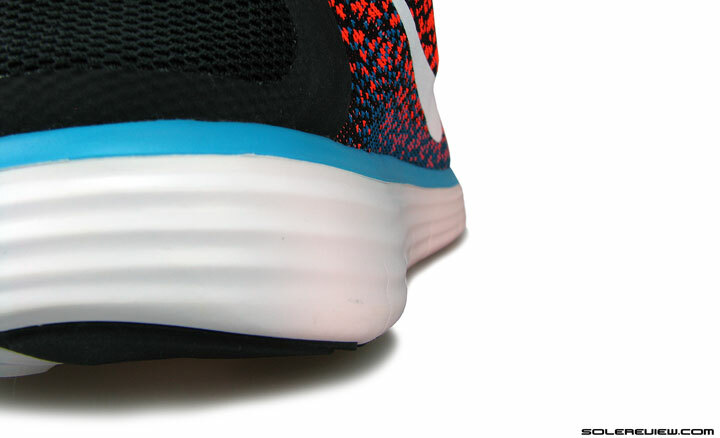 As far as the Lunarlon insert is concerned, it comes into play only when you start running. It increases the padding underneath, but not so much the softness, if you know what we mean. 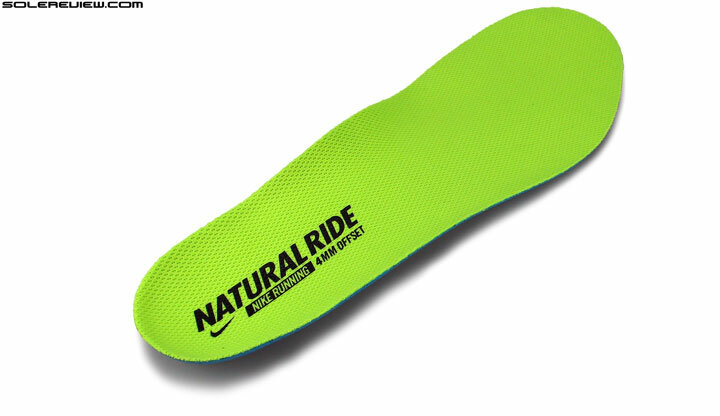 The initial softness is still delivered by the Ortholite insole, and that does not change on the RN distance. 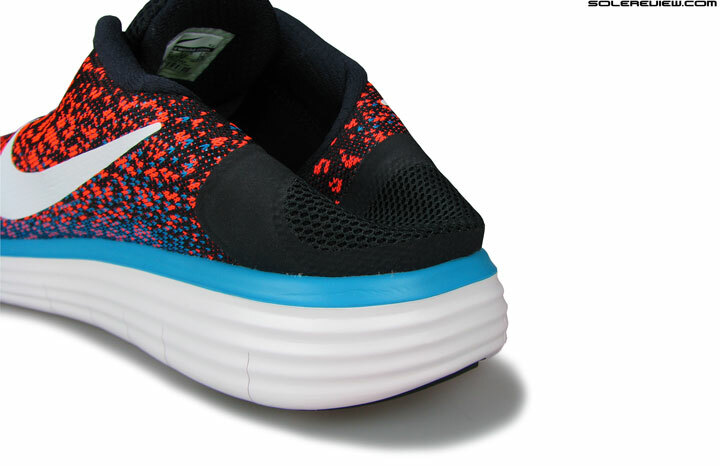 What has changed however, is the way Lunarlon insulates your foot from the firmer landings of the Free 5.0. Is it responsive? Not so much. Ever since we’ve had a taste of adidas Boost, other midsole materials now have a higher bar to vault over before they can be termed as responsive. Lunarlon is many moons (see what we did here?) old now, and Nike really needs to up its game to compete against adidas Boost. adidas’s running assortment strategy can best be described as mediocre, but there’s no taking away the fact that Boost is awesome. Despite hundreds of recent patents, Nike has yet to come up with a credible cushioning tech worthy of competing with Boost. Sure, Nike Zoom is a good stand-in for now, but Air bags have their limitations. 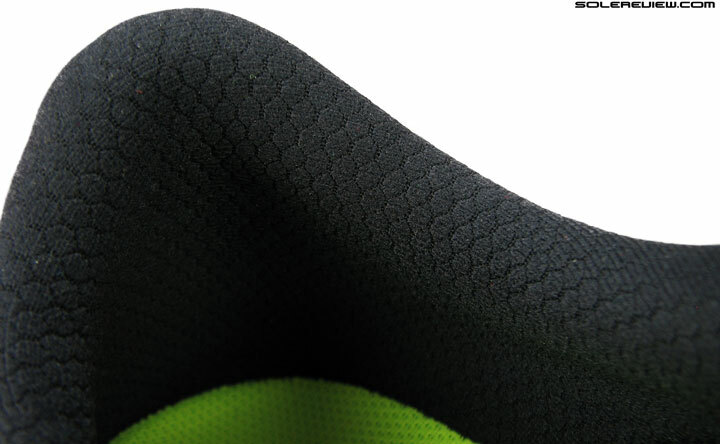 These inserts make the shoe stiff, and can only provide cushioning in specific spots instead of consistent coverage. Remember our Zoom Streak 5 review? The Lunarlon-EVA distribution is around 55:45, so yes, plenty of insulation. The hexagonal lug design is certainly better than that of pre-2014 Free. The Free RN distance does feel very consistent though, and that bodes well for smooth transitions. The material spread from heel to toe is uniform, so yes, no rogue soft areas for the foot to sink into. 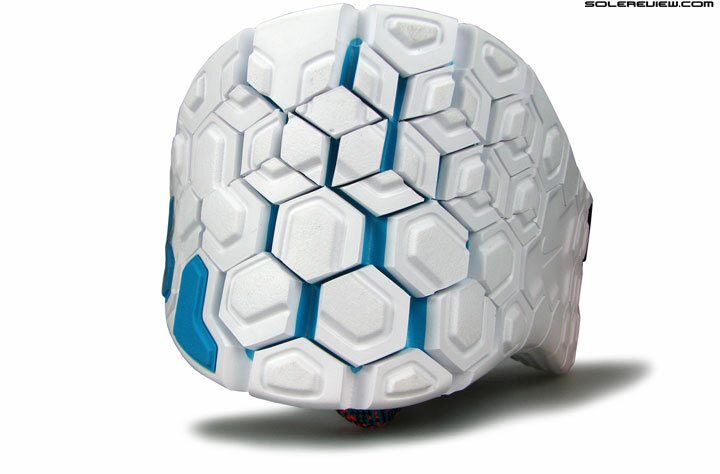 Nike Free’s revised outsole geometry, which involved making the switch to interlocked hexagons instead of side-to-side flex grooves, makes the ride much smoother. The thicker front and the Lunarlon insertion also translates into a stiffer forefoot than the Free 5.0, and that helps relatively quicker toe-offs. Comfortable, yes. Fast? No. The Free RN distance has too much of squish under the foot. Why? 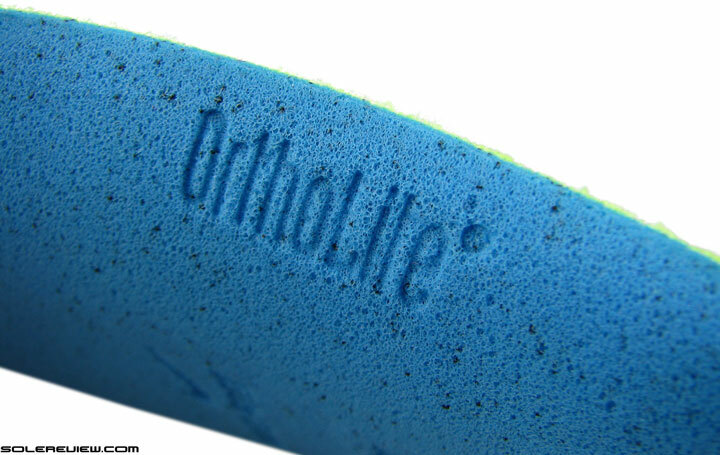 Ortholite+eva lasting+Lunarlon+foam outsole. As we’ve underscored earlier in this review, the RN distance is not a shoe which feels fast. The Ortholite has too much squish and the forefoot is very flexible and soft, two factors which get in the way of faster speeds. Like how Nike Free’s are, there are no outsole pieces under the forefoot (like the LunarTempo or Racer 3), which makes the forefoot comfortable but not speedy. It is important to recognize the RN distance from a Nike Free assortment standpoint. It rides like a Free 5.0, just with more insulation from the ground, and makes for a better all-around, daily use shoe. We’d say that the Nike Free RN distance would be somewhere near a 8 on this scale. A helpful guide would be to view the RN distance on Nike’s minimal running scale of zero to ten – see the chart above from an older review. If the RN distance had a number, it would be around 8.0, close to a regular model, and yet flexible enough to stay within the confines of the Nike Free concept. Sidewall design is pretty straightforward, and quite literally so. Reassuringly stable, this one. Among other things, stability is great on the RN distance. Sidewall design is uniform across the inner and outer side, with subtle raised ribs running down its length. Lunarlon is deepest in the center, which keeps the foot seated without bias. The outsole coverage is full contact, helping spread the weight evenly. The bright spots of the RN distance’s ride aside, one has to ask though – is this new Free actually good for longer distances? Sure, you can run far in this shoe, but it’s not the best tool of choice. There is cushioning, yes, but it lacks the engaging experience of the LunarTempo or Lunaracer 3. And the shoe runs very warm too. And with the season heading quickly into spring and summer, that isn’t exactly a good thing. 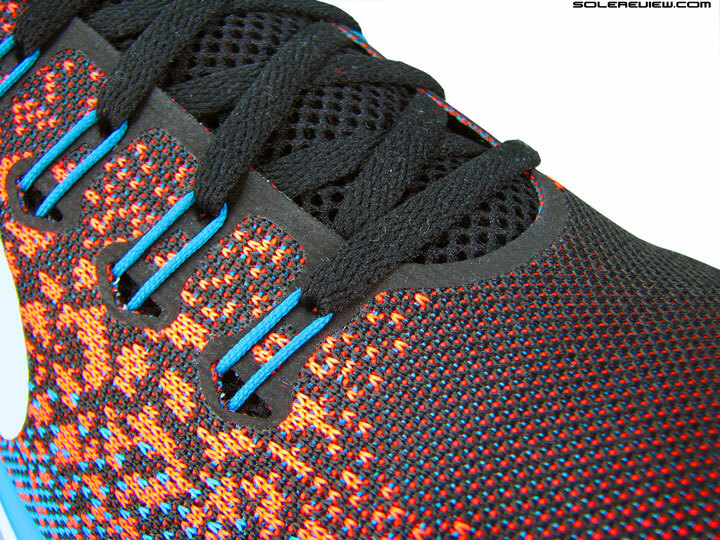 Which brings us to the faux Flyknit upper design and its inner workings. 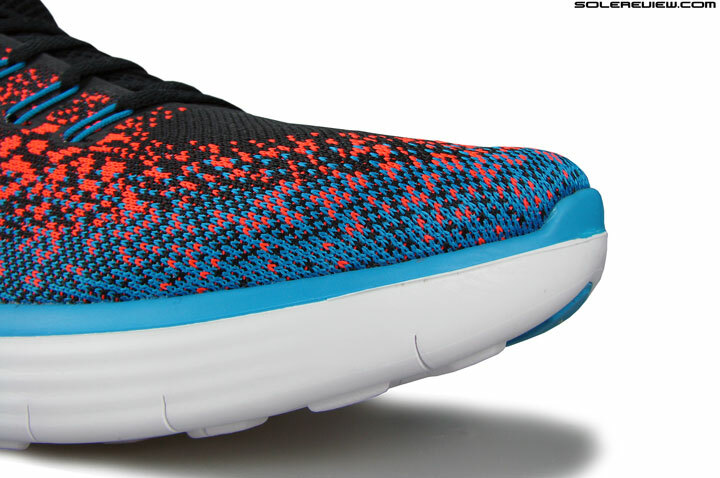 On the outside, the RN distance sports a one-piece upper resembling the Flyknit design. This is very similar to the Lunarlaunch heel. Open mesh window, with a seamed boundary for structural support. Standard eye-stay reinforcement; the edges are laminated to prevent fraying. On the outside, the RN distance seems simple enough. A single piece knit upper with a texture which draws from both the Flyknit and Flymesh, joined at the back with a fused overlay which also doubles up as the heel window. 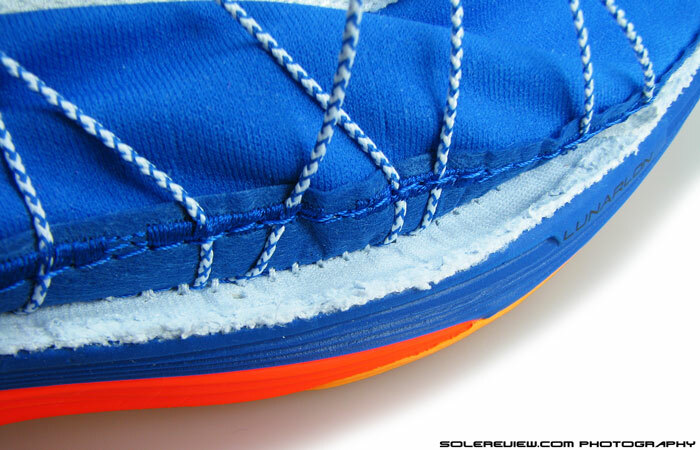 There are no other external layers to speak of, except for the lamination over the lacing area and Flywire cord guides. The insides are strengthened by a second layer of fabric, which also helps shape retention. 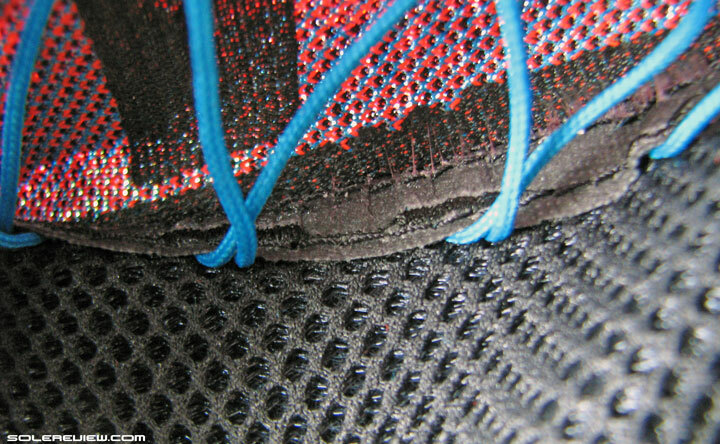 If you turn the lacing eye-stay over, you’ll see a thin fabric backing up the underside, which also extends as a vertical strip on either sides of the midfoot. Though it is not outwardly visible, the rearfoot gets the same fabric backing treatment. There’s an inner sleeve which begins under the second lacing row. The sleeve starts late, so that leaves an ample amount of tongue flap. The tongue (and sleeve) is spacer mesh, which has some in-built padding. Not much foam inside the tongue, but the lacing pressure isn’t an issue. 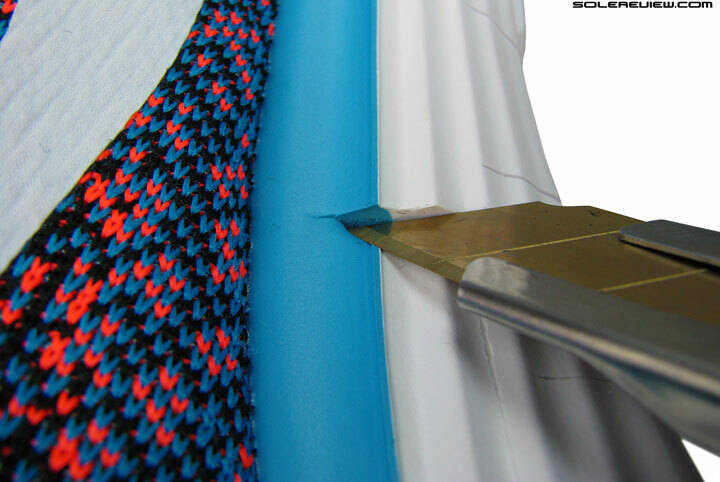 What isn’t visible from the outside is how the Nike Free RN Distance’s inner sleeve is constructed. Near the collar opening, the sleeve starts late, leaving a lot of tongue flap. 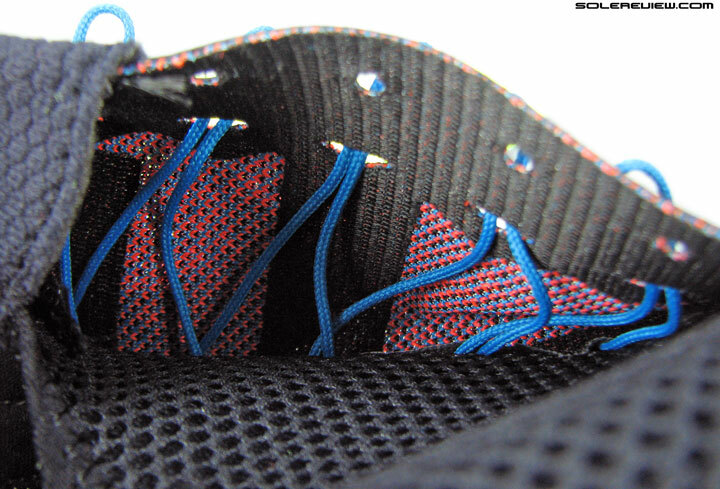 Regardless, once the sleeve begins, this second covering of spacer mesh extends right till the toe-tip. The RN distance has two layers of uppers. 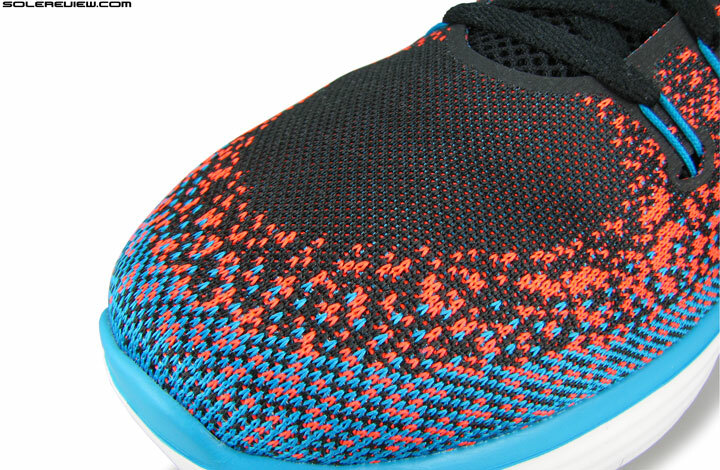 The Flyknit-esque top, and the thick sleeve which extends all the way till the toe-tip. Forefoot room is affected. Hence, the RN distance might appear wide, but it is actually not. The fit of the inner sleeve is the true fit of the shoe, and not the dimension of the knit upper. So this creates a paucity of forefoot room, making the shoe fit snug. While far from being Hoka type uncomfortable, the actual fit will take many by surprise. The toe-bumper is high enough, unlike the LunarTempo or Free 5.0. An internal stiffener between the knit upper and the sleeve creates dedicated toe-bumper contouring. Around the tip, the toe-bumper has decent vertical room, and not as shallow as last year’s Lunartempo or even the ageing Lunaracer 3. An invisible stiffener raises up the bumper, preventing the shallowness felt on the Tempo. In addition to the regular lacing, the RN distance also dedicates midfoot grip duties to the cord based cinching. Flywire, in nikespeak. It is a bit unusual to see the Flywire cords tethered flush to the base of the inner sleeve. Midfoot lacing is Flywire cord assisted, and the RN distance does this differently than some of the other Nike shoes. The cords are stitched flush to the base of the inner sleeve like the Lunarglide 6, instead of leaving some gap. Because of how the Flywire cords are connected, the RN distance has a snug midfoot which is consistent with the quality of the forefoot fit. This means that the Flywire cords sit closer over the foot, and makes the sleeve hug the foot. That said, cinching the lacing tight does not result in a lot of pressure. The punched-in eyelet holes prevents the Flywire cords from working independently. If you lace the RN distance tight, there will be a slight upside in midfoot wrap, and nothing more. 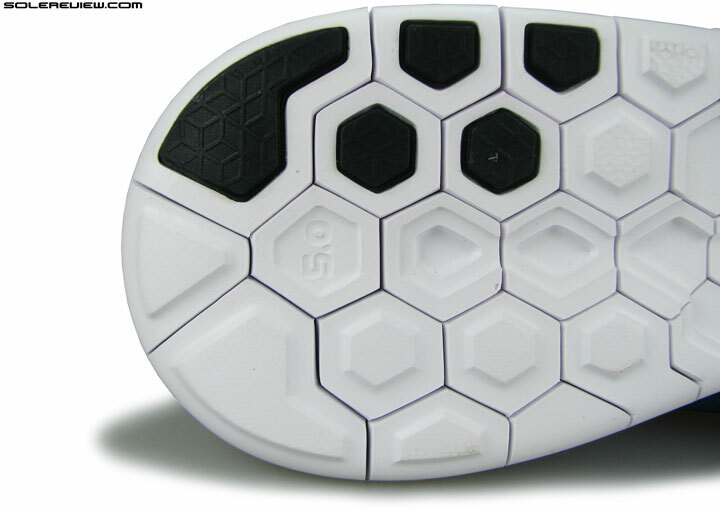 We get it; the collar lining is a play on the outsole’s hexagonal theme. But can’t help thinking of the Gel Kayano/Nimbus heel fabric – very similar in look and feel. The heel on the other hand, doesn’t have the assertive fit of the fore and midfoot. It lacks an internal counter, which means that it is completely collapsible. So while the Lunarlaunch inspired design is kind on the Achilles, the relaxed fit stands out in contrast with the rest of the upper. The collar walls are made of soft hexagonal textured mesh, and the padding is minimal inside. Both of these elements don’t do favors for the collar grip either. So if the RN Distance’s heel is similar in design to the Lunarlaunch, then why the fit variance? There were a couple of things which the Launch did differently. First, the heel window made of closed mesh sat very flush over the heel instead floating over, like how it is here. Secondly, the collar opening was narrower, and the top was firmer due to the synthetic underlay around the edges. This helped the Lunarlaunch provide a better heel grip as compared to the RN distance. Reflective trims seems to be an afterthought, limited only to a tiny strip. Not very effective at night, is it? Better than nothing, though. And the part about the shoe being warm, yes. The double layer upper does not let air pass through as well as the Nike Free 5.0 does, and the liberally porous structure of the Ortholite insole creates a ‘hot zone’, trapping heat inside its foam cells. So that gets in the way of the ‘distance’ part, because a continuous run of over 7 miles in 20 C/68 F will make the insides quite hot. Unless you’re surrounded by snow or are in Australia, where reverse seasonality applies. 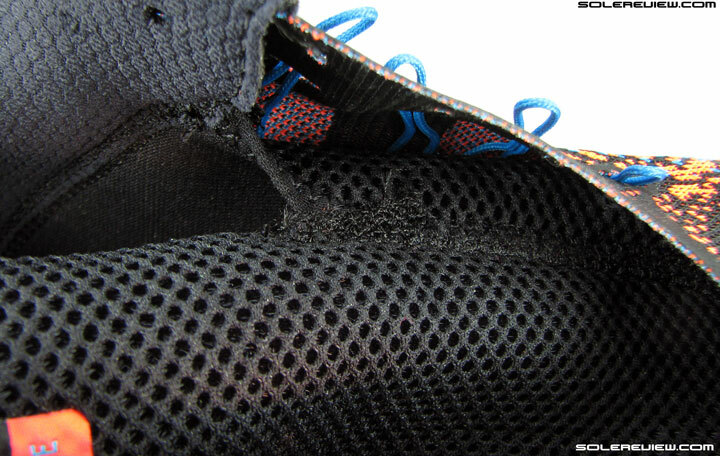 Ever wonder why shoes such as the Lunaracer 3, Streak 5, adidas adios and Boston have firm, compression molded insoles? They don’t trap heat, and provide an efficient snap feel – an important ingredient of a shoe meant to feel fast. As far as the Nike Free RN distance is concerned, just remember what we said. It is for runners who like the all-day comfort of the Nike Free 5.0, but want a little more cushioning to extend the mileage range of their favorite flexible shoe. As Nike puts it, ‘Free to go farther’. Who said anything about going fast? Depends on what you were expecting! Well, Ive bought the Free Distance RN believing the “distance” part in it. Thought it could replace my Kinvara. Nope. Everything over 10 miles is quite a pain. Youre right all the way with your review. The upper is inflexible and gets warm. The point is that this shoe was very intriguing and beautiful and feels very soft but close to the ground. A great combination in the shop. But the ride doesnt hold true to those promises. Its not a real shoe for your serious runs. And sure its neither fast nor does it feel like that. The only thing I really like is that its dead quiet. No flapping sound. Quietest shoe I have. Pretty much sums the shoe up. I’m a little bummed about your findings. I was hoping this would be my new go-to shoe since Brooks keeps messing with the pure line. I wish finding a well cushioned, low drop shoe with a roomy toe box wasn’t so hard. Back to the drawing board to find my next daily trainer..
Wonder how the Kinvara 7 feels like… there are a few reviews out there, but we’ve yet to run in them. I’m curious as well. I ran for a while in the Kinvara 5. It was an ok shoe. I did like the upper and I had enough room in the toe box. My only problems were the outsole durability, it felt like my foot was slapping the ground when I ran, and the midsole was just a little too firm for my liking. I’ve heard the new 7 got even more firm. I picked up some Zealot ISO’s a month ago for $60 on a “daily deal” site. I heard they run firm as well, but for $60, I’ll give them a shot in another month or so when my Triumph ISO’s are done. The Zealot… never got around to reviewing that one! Curious to know how the Kinvara 7 feels now that you mention the changed ride. I think you’ve commented on this topic before, but I couldn’t seem to find it. What is your opinion on “soft” cushioned vs “well” cushioned and how cushion “softness” relates to how well a show is cushioned. e.g., a lot of people consider the Kinvara to be softer cushioned than the Zealot, however the Zealot is considered more cushioned. It seems like there is a fine line on how stack heights and firmness define a well cushioned shoe. My body seems to like a softer cushioned shoe regardless of stack height. First run in the Zealot went better than expected. The cushioning is definitely firm, but not overly so. I dig them a lot more than the Triumph ISO. Interesting. Thanks! Hopefully we’ll review that one. The 2016 NB Boracay v2 (quite an overhaul) might be worth a try. The fit has overall become wider than the predecessors with a new bootie-like upper like Saucony´s Isofit. I didn´t like the new fit and upper, it was too sloppy for my narrow feet, but for someone with wider feet it may be quite right. Very cool, thanks. I haven’t seen v2 yet, aside from some foreign websites. I actually ran in the Boracay last year and put around 250 miles on them before I had to give up on them. I couldn’t get comfortable in them and developed some metatarsal pain, which subsided as soon as I stopped wearing them. I think they were just a little too tight through the mid/forefoot, and the lack of flexibility probably had something to do with it as well. Can’t wait to see what version 2 brings! Boracay v2 has been released in europe. The fit is definitely wider than v1, especially mid-/forefoot, a lot more relaxed than the old versions. For me the fit was just too wide and not snug enough. And the midsole has become significantly softer (in my opinion), felt like a more cushioned Zante. Don´t know how the ride of v2 would work for you, but i assume it should make a smooth day to day cruiser. I actually found v2 interesting, but the fit is just not my type. That’s great.. I’ll look forward to trying them out. I can’t find a US release date, but I assume it will be sometime soon. I wore the Zante last spring and loved them, aside for the goofy bump in the arch. An extra-cushioned Zante in a 4 mm drop would be a sweet shoe. I’m looking forward to trying them, as well as the new Kinvara. Thanks again for the help. You´re welcome! Have you actually tried out the new Brooks Pureflow 5 ? I wasn´t a fan of the podular outsoles of the Pure line, but the new outsole structure looks very promising to me. Looks similar to that of the Glycerin 13, which was a shoe that i surprisingly liked. I really appreciated the fluffy marketing wording of the “ideal pressure zones” or “rounded heel” concepts, which worked quite well and smooth for me in real life. I always thought of a Glycerin-like midsole in lighter shoe must be really nice…now it seems that the Pureflow 5 may fit this profile? I did get a change to try on the new Pureflow 5. It’s very narrow through the midfoot and the toe box seems smaller than prior models. I tried going up half a size, but then they just felt like I was wearing canoes on my feet. I used to run exclusively in the Pureflow 3; I went through several pair. They were my all time favorite shoe. The 4 and 5 just keep getting narrower and narrower and don’t work for me, unfortunately. The 5’s outsole are much improved from what I could tell, but I didn’t give them a real try due to the fit. It sounds like a shoe for people on their feet all day, rather than runners. I’d guess that doctors and nurses would like this shoe for working in. It is a great all around shoe for daily use. Not so much of a focused running product, true that. I’m debating between these and the lunartempo. Have run in the old flyknit free’s for a while, but would like more cushioning, but still have flexibility and enough room for splay. The Tempo is great, but isn’t as flexible as the Free nor does it have a lot of splay room. The RN distance has the cushioning and flexibility, but comes up short on forefoot splay room. 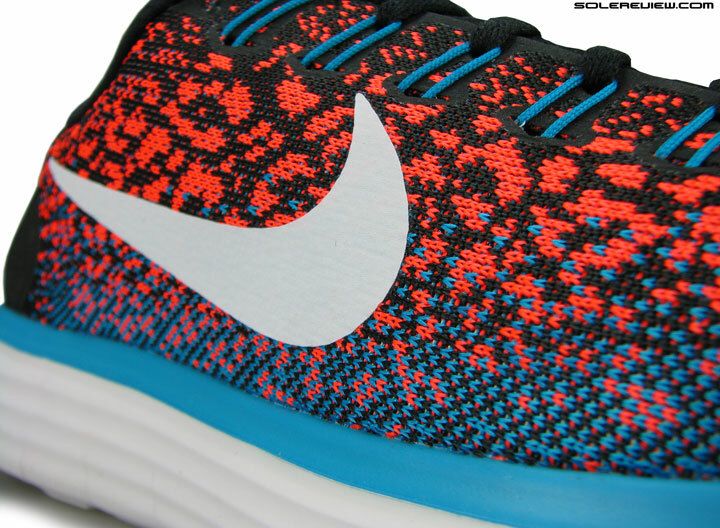 Also try the Flyknit Lunar 3, which has plenty of cushioning and forefoot room, but not flexible as the Free. i tried it and was disappointed as well.. ran 3 marathons in the Nike free 5.0 2015.. love them but would love some extra cushioning without getting clunky.. your review was spot on in that they were hot and felt almost like Nimbus 17 cushy in the middle.. what would u suggest if im looking for a little more cushioning… i just bought the Adidas energy boost 2 to try.. any thoughts..
Altra One 2.5 fits that bill for me right now. Instead of the Energy Boost, we’d consider the Glide Boost. Not too clunky, feels fast, extremely durable. A bit off topic but do you think that in general that the New Balance 1500 v2 were an improvement from the last one. Not sure, haven’t tested them yet. Any reason why you guys haven’t reviewed any Altra shoes yet? Plans to do so in the future? I’d love to hear your take on more zero drop shoes, including maybe some Merrells too. Thanks for your great work! Appreciate the suggestion. Would love to review other brands/shoes, but since each review takes a lot of time and money to produce, we chose our shoes carefully. We don’t take shoes from brands, we buy all of them. I have a wide foot and tired Nike Flyknit Lunar 3 and Adidas Sonic boost for running size US 10 but i not feeling comfortable in them while running. I have been following your site for shoes reivew sometime now and find them really helpful. Please recommend running shoes for wide feet. I have shortlist Nike Vomero 10, Asics Nimbus 17 and Under Armour Gemini. From the list of three shoes, the Vomero 10 has the widest forefoot. The Free RN distance (reviewed here) is pretty narrow. Thanks you for the response. Shame, was hoping these could be my marathon training shoe. I tend to run in nike flyknit 4.0, adidas adios boost or nike wildhorse (favourite shoe) depending on terrain and distance, any recommendation for a higher mileage shoe? What exactly do you want your training shoe to do? More cushioning? Increased durability? Bit more cushioning than the above which are fine for the half marathons but feel ill want more as I increase miles. I’m a neutral to under pronating mid foot runner. Any suggestions welcome! I was thinking about the Vomero maybe?? The Vomero 10 is nice, and if you want a durability monster, then the adidas Glide Boost would be it. Hi. Congrats for the detailed reviews! I use Pegasus for many years now, for distances up to a marathon. I’ve also tried with no issues an older Adios Boost on up to 10km distance. The Saucony ride 7 caused to me a couple of nails so i don’t like it. I want to try less bulkier shoes for distances up to a semi-marathon, and i am thinking of the Nike free series. What model would you suggest as a safe transition? I am 70kg. Hi, great review! I owned a Nike Free 5.0 2014 it feels so natural and light, hope this is a better choice for me! 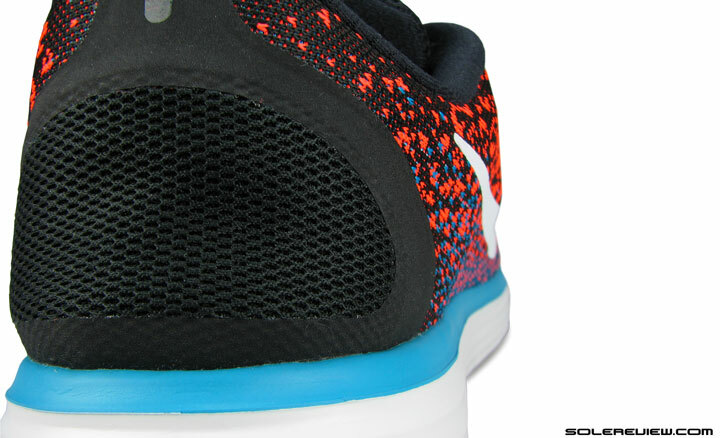 Just see this as a more cushioned, and warmer version of the Free 5.0 with a lower heel drop. Awesome and high-standard review. Just jump on this website recently and already fall in love with you guys. I love the flexibility and lightweight of the Nike Free and want to stock up a pair. I am a casual user, living in Vietnam where is quite hot. Would the warmness get in the way if they are used casually, or only in running? Lastly, please recommend some “cool/dry” shoes for tropical climate. Thank you! Thank you for reading our reviews! The Free RN distance is warm regardless of whether you’re running or walking. Get the Nike Free 4.0 Flyknit instead, that one is much more ventilated, and you can wear them without socks. We’ve found Mizuno shoes to be the most ventilated, models like the Rider 19, Inspire 12 and the Sayonara. The adidas adios 3 Boost is breathable, but not a great shoe for walking around.